The PearlGuard is a mobile platform for monitoring and remote alert. 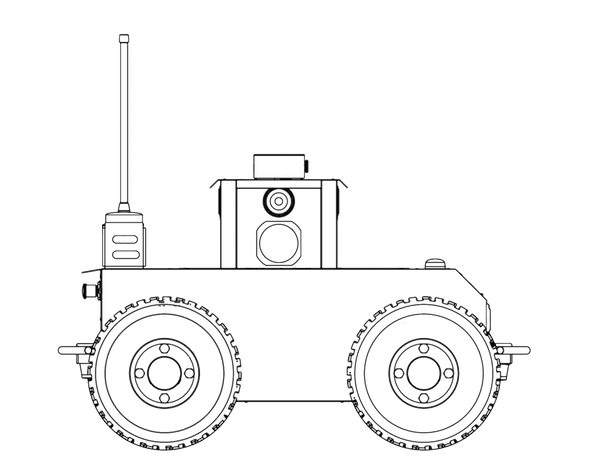 The robot is a wheel drive mobile base powered by electric motors and batteries allowing it to patrol for up to 8 hours. 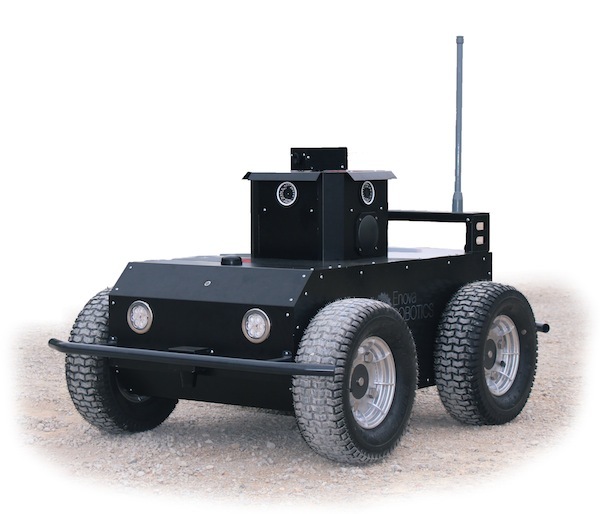 To perform its functions, the robot incorporates a set of infrared cameras arranged to cover the entire surrounding of the robot, an omni-directional audio acquisition system, thermal camera and a sound and light alarm system. It is particularly able to automatically detect intrusion.The robot incorporates a GPS to locate in its environment and a laser telemetry system for detection. The remote interface is Provided with the robot and is Necessary for control. It Allows the user to manually control the robot remotely, to access to all sensors in the robot (stream GPS position, audio and video, heat flow) and the Plan based GPS waypoints round. The interface also allows to monitor the status of the robot: voltage and battery charge remaining, robot speed, fault detection, status of the communication signal. In the case of an intrusion, a warning message is displayed on the interface with five minute of audio and video before detection.